One thing I cannot stand is having cracked, dry lips. But luckily, I've been using the fun, pocket-sized Keep Calm Lip Balm from Rimmel London. This balm helps to keep your lips moisturized and protected for hours. The nourishing formula is enriched with moisturizing oils that calm and soften your lips. Not only does this balm hydrate, but it adds a fun hint of color to your pout. 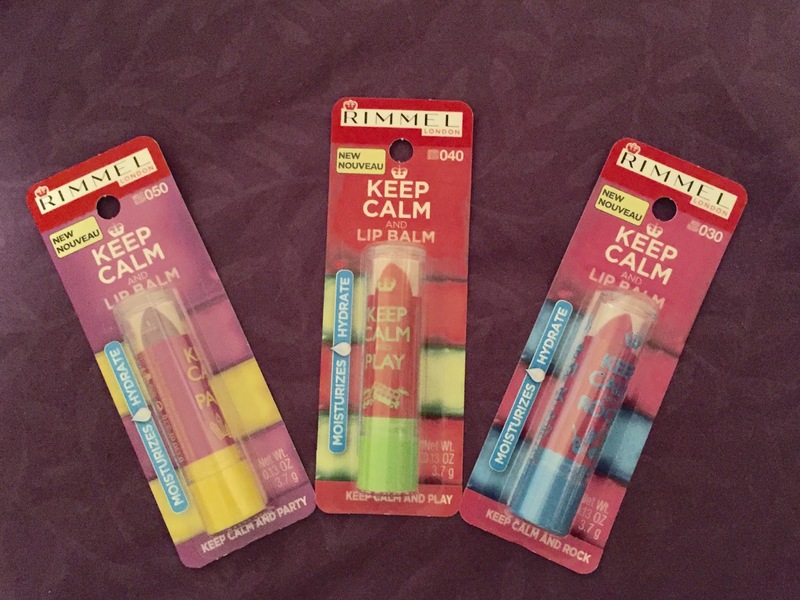 The flirty lip balms come in five different shades and are available for $2.50 from any chain drug store or mass retailer. LOVE THIS! I REALLY LOVE THE PRICE POINT! I LIVE IN NY AND OUR WINTERS ARE BRUTAL I COULD REALLY STALK UP ON THESE! THANKS SOOO MUCH! so happy u guys starting doing reviews again! was so lost in the Beauty World without them!